Introduction and Notes by David Blair. University of Kent at Canterbury. It is 1757. Across north-eastern America the armies of Britain and France struggle for ascendancy. Their conflict, however, overlays older struggles between nations of native Americans for possession of the same lands and between the native peoples and white colonisers. Through these layers of conflict Cooper threads a thrilling narrative, in which Cora and Alice Munro, daughters of a British commander on the front line of the colonial war, attempt to join their father. Thwarted by Magua, the sinister 'Indian runner', they find help in the person of Hawkeye, the white woodsman, and his companions, the Mohican Chingachgook and Uncas, his son, the last of his tribe. Cooper's novel is full of vivid incident- pursuits through wild terrain, skirmishes, treachery and brutality- but reflects also on the interaction between the colonists and the native peoples. 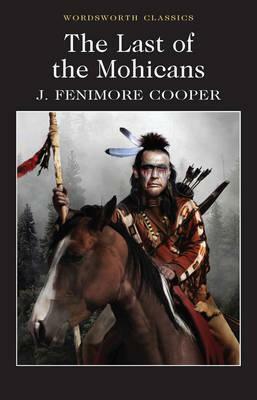 Through the character of Hawkeye, Cooper raises lasting questions about the practises of the American frontier and the eclipse of the indigenous cultures.